Update: Can’t get enough of this song? Download and sing along to by visiting our “Waiting 4 U” music download page! 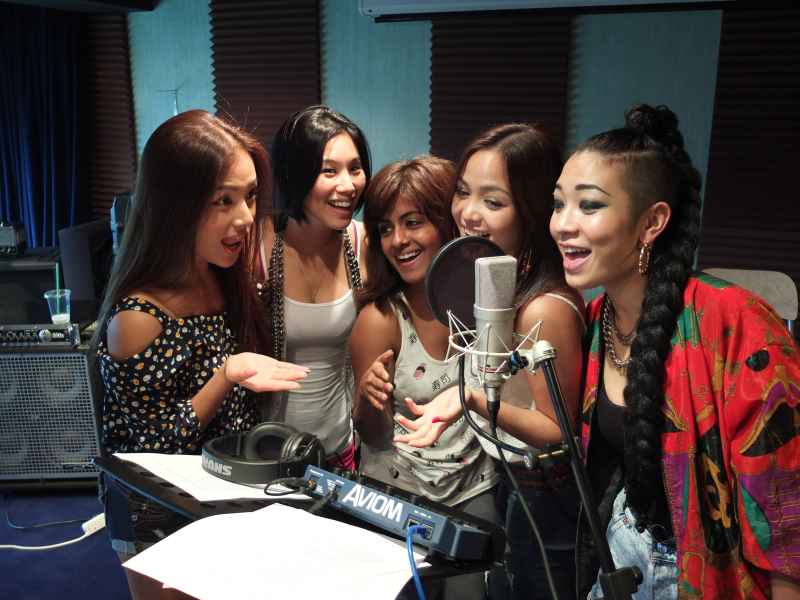 Earlier, we shared pictures of female super group Blush recording a song for Pretty Pet Salon 2. Today, we’re pleased to finally share the song with you, along with a new video of their recording session! Without further ado, here is Blush singing “Waiting 4 u”! “Waiting 4 u” is based on the theme of the newly-released Pretty Pet Salon 2 for iOS. We hope you like it, and stay tuned – download links for the song will be posted soon! 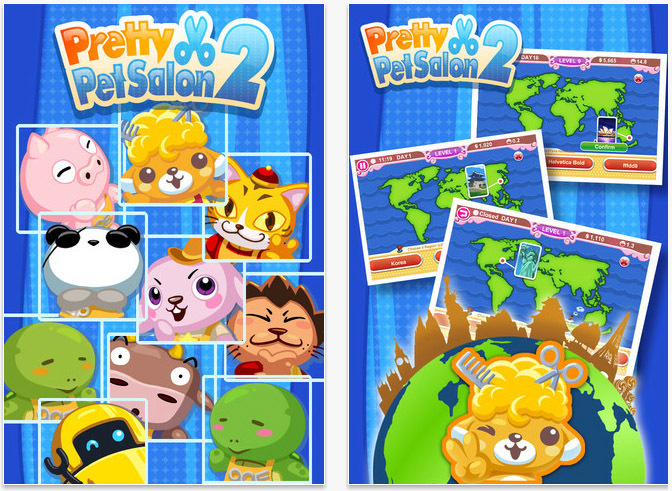 The highly-anticipated sequel to Pretty Pet Salon is finally here! 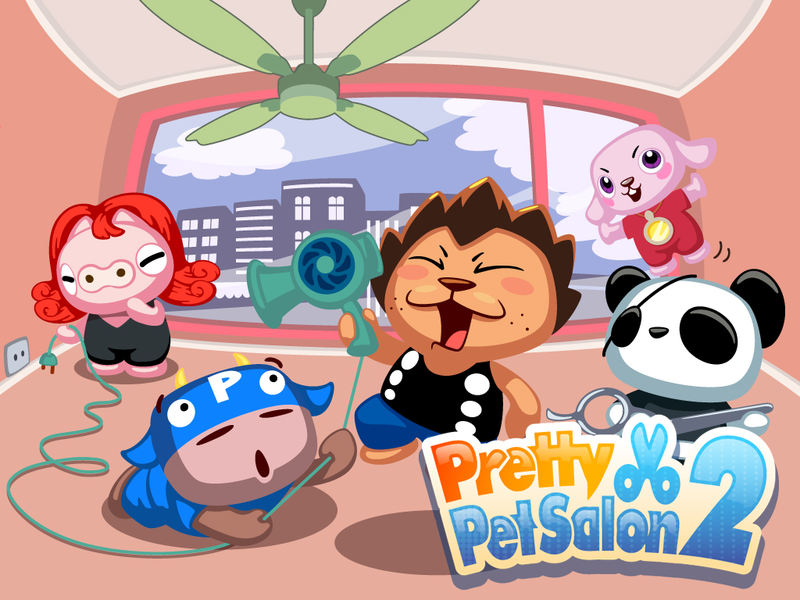 Pretty Pet Salon 2 brings back the gameplay of the original that fans have come to love, adding new content and new challenges along the way. For special boosts, set up multiple shops in various cities around the world: Tokyo, New York, Seoul, Sydney and London! The Android version of Pretty Pet Salon 2 will be following soon. Let us know what you think of Pretty Pet Salon 2 by emailing us at support@prettypetco.com! The Pretty Pet pals decided to get creative with some costumes. Do they look familiar to you? Right-click and save the image to get the full-size version! Got a Google+ account? Follow us to hear more about your favorite Pretty Pet games, and don’t forget to +1 us! Click the image below to visit our Google+ page, or go to gplus.to/PrettyPet.